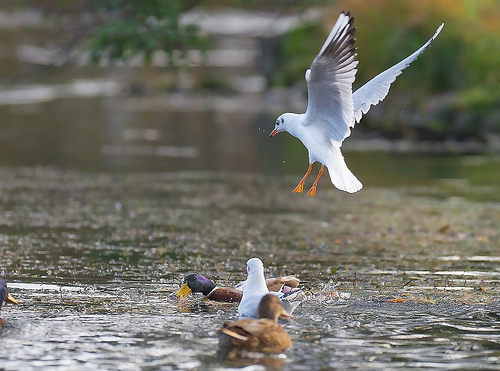 The Black-headed Gull has two tiny black spots on the head, the Mew Gull has a plain white head. 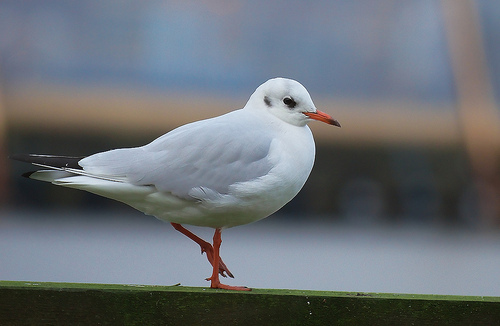 The Black-headed Gull has red legs, the legs of the Kittiwake are dark. You will always find Kittiwakes near the sea.